A SHETLAND councillor has voiced his concern over what he feels is a “democratic deficit” stemming from the number of full council meetings held every year. Shetland Central member Ian Scott told Wednesday’s full council meeting that as a “back bench councillor” he often feels “emasculated” in the local authority’s decision-making. It came as councillors approved a meeting schedule for 2019/20 which will see a minimum of six ordinary full council sessions held where all 22 members attend, as well as a couple of special sittings of the complete cohort for discussing annual accounts. There will also be a minimum of six ordinary meetings for the main council committees, and four sittings of the audit, pension fund, harbour and college committees and boards. Scott, who is the chairman of the licensing board, mentioned how chairs of the council’s main committees – such as development and environment/transport – hold regular meetings. “I don’t feel as if I have any input into what we as a council say,” he admitted. Scott suggested that all councillors should meet every fortnight, adding that he tends to get news about the council first from the local media rather than from the Town Hall. “I think there’s a democratic deficit here,” he continued. 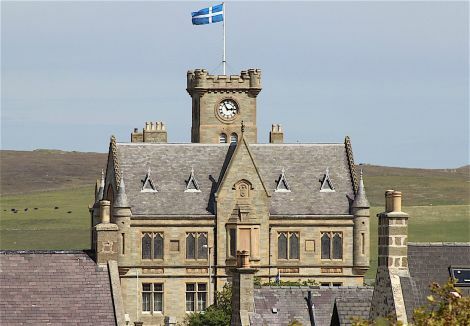 Lerwick councillor John Fraser, however, said he “vociferously” disagreed with Scott’s views. “I do not feel excluded from the political decision-making process,” he affirmed. South mainland member Allison Duncan, meanwhile, said all councillors get the chance to have informal gatherings from time to time. The last word, however, went to fellow south end councillor George Smith, who is the chairman of the education and families committee. “Council is what you make it,” he simply said.